The Loisaida Festival began years ago as a way to entertain children of the Lower East Side neighborhood who could not leave the city during Memorial Day Weekend. Fast forward almost 3 decades, and the Festival is still the place to be if you are looking for fun for the entire family. We went ahead and lined up a sample of the many offerings you can expect to enjoy alongside your little ones on Sunday, May 29th. A traditional part of the Loisaida Festival’s annual activities is an opening carnival procession. This year will include a new cultural contingent led by Casa Múcaro, a collaborative project by Puerto Rican artists. They invited the entire Loisaida community to participate in the festivities. 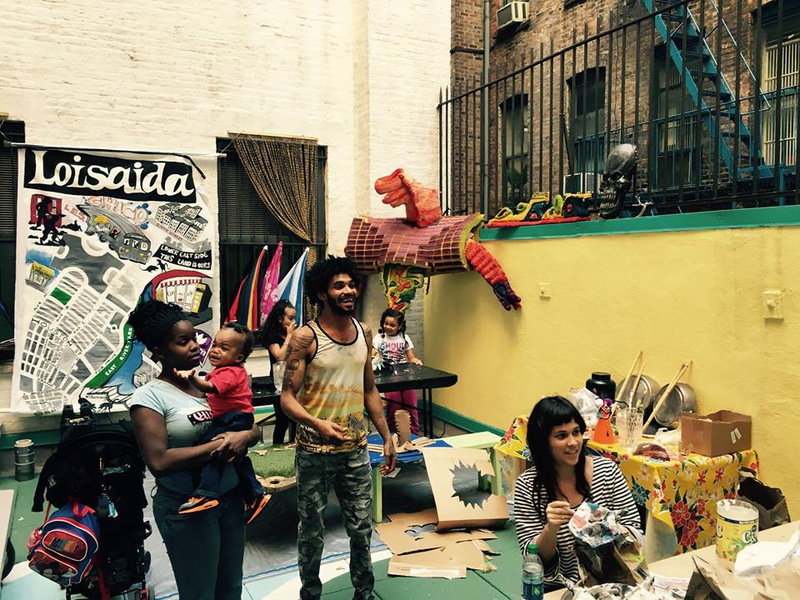 For the past few weeks, Casa Múcaro and Loisaida neighbors of all ages have been creating puppets and floats out of recycled waste. These creations are finally coming out to play at #LoisaidaFest2016. The traditional carnival procession will take place on Sunday May 29th at 11am, followed by an expanded street-theatre puppet-pageant at Loisaida’s Theater Lab inside La Plaza Cultural. A favorite of adults and kids alike, the Theater Lab presents a wide variety of theatrical presentations ranging from well-established veteran companies, up-and-coming theater troupes to local youth productions in a family-friendly outdoor environment. If you haven’t been to the iconic La Plaza Cultural Community Garden on Avenue C and 9th Street, this is a great opportunity to check it out while enjoying some good, fun theater. Aside from Casa Múcaro, among those other performers joining the Theater Lab will be Lizbeth Román, a soulful and poetic Puerto Rican singer-songwriter with the power to transport us to unique worlds with her melodious voice and acoustic guitar. Check out what Gotham’s J.W. Cortes has to say about it in the video above. Ok, admittedly these are two different areas at the Festival, but we couldn’t help ourselves. We just had to mention them. Cell Motion Laboratories’ Bio Bus will be at #LoisaidaFestival, offering a space where your kids (and you included) can learn science in a fun way. As if one mobile bus is not fun enough, Loisaida, Inc. is also bringing the Colgate Bright Smiles, Bright Futures® mobile dental van. Free Dental Screenings for your kids? Check. Make sure to check out #LoisaidaFest, where you can catch a play, learn science, march on a carnival, get your kids’ teeth checked out, and, if there’s time, munch on some delicious traditional Latin fare; all alongside Avenue C, from 5th to 12th Street.